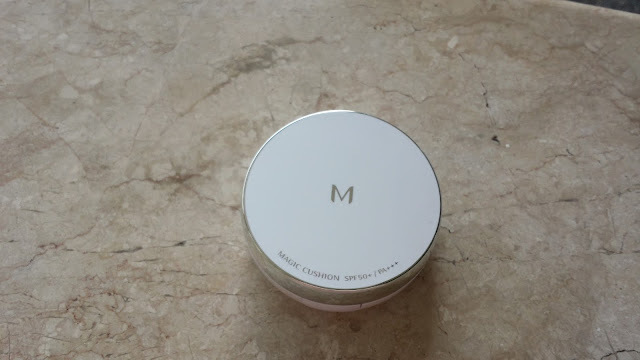 Yep, it's Mamonde Creamy Tint Color Balm Intense (such a goddamn long name, who thinks of these things anyway?) straight out of South Korea, people! There are tons of goodies from Seoul which people should know about. I cannot stress enough how that place is the mecca for all things beauty! Anyhow, let's not get sidetracked. I'm here to show you the full potential of this wonder balm. Yes, it's a lip balm which happens to be highly-pigmented hence, looks like a full on lipstick but that's not the best part. We can do gradient with it! WOOT WOOT! South Koreans made this a roaring trend. Lips that are dark on the inside and light on the outside. It's so hard to perfect this look. Had to repeat gazillion times until I was able to get that perfect petal lips. Cover lips with BB Cream or Cushion BB. I used Missha Magic Cushion for maximum effect. Main reason for doing this is so that the lips will be a neutral shade. 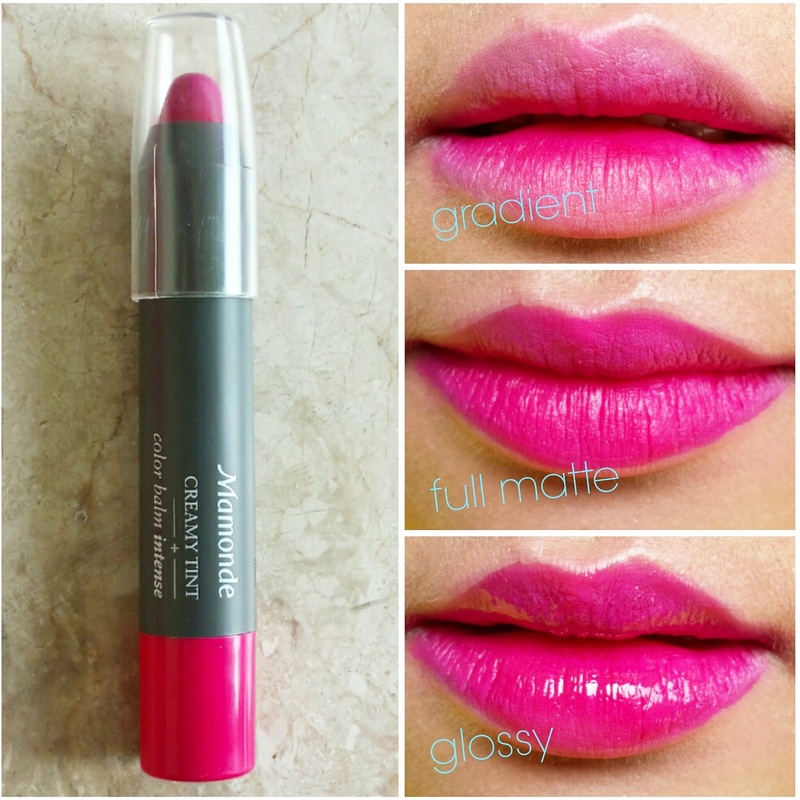 Swipe on Mamonde Creamy Tint Color Balm Intense on the inner lips. Make sure to leave a modest amount of lips untouched. Lightly spread the tint with fingertips. Make sure that outer lips have lighter color compared to inner lips. Add another layer of the tint on the inner lips to intensify color. This one's the easiest and simplest application. Just swipe the tint all over lips to get the full on matte shade. 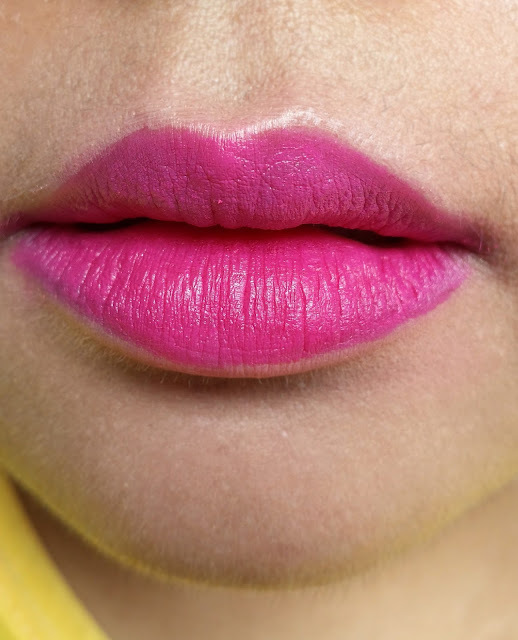 If you're coming from a gradient lips, just fill in the remaining area with the tint. Make sure that you cover all area especially the lip line. This look benefits those with thin lips. If you want to make your lips look fuller, I reco dabbing lipgloss on the center lips only. The lipgloss makes your lips look lighter which gives the illusion of plumper lips. I used Holika Holika Holy Berry Jelly Tint for this tutorial. Now I've prepared a little something to show you guys the transition from gradient to matte to glossy lips using Mamonde Creamy Tint Color Balm Intense. The shade's Matt Pop Rose btw. Hope y'all like it! And there you go. Next time you go loco on ebay hauling stuff, remember this lip crayon, Mamonde Creamy Tint Color Balm Intense. It's definitely a good buy. 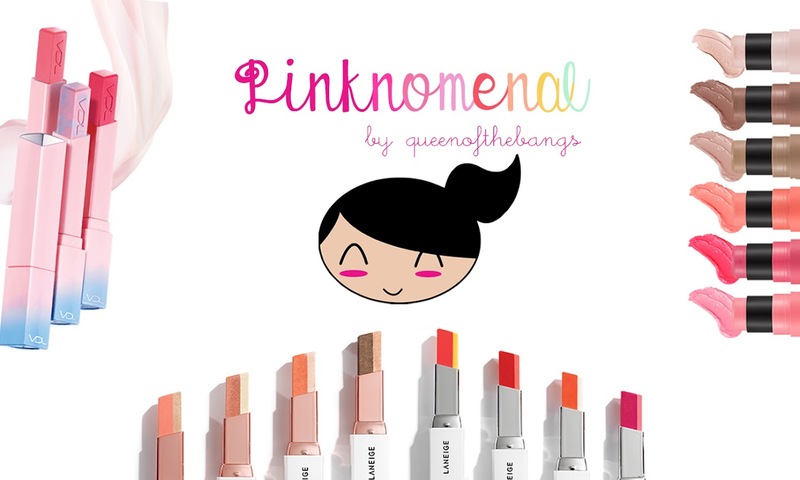 Not only is it a highly-pigmented lip color, it also acts as a balm. What's more, the color stays even after I tissue off! Yes, ladies. That's how my lips looked like after I tissue off the whole thing. IT'S STILL THERE!!! Once again, thanks for the contributed review. We all appreciate your care and professional attitude to each of the mentioned products! Does it look like a Korean tint?